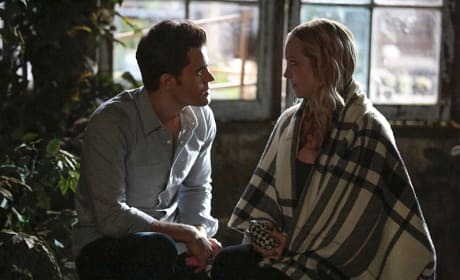 Stefan comforts Caroline in this scene from The Vampire Diaries Season 7, as her pregnancy as taken a turn. Yes, I have a question: what do I do when I'm carrying the witchy twins of my close friend? Anyone? Anyone at all? I know I'm carrying your twins and all, but just give me some space, okay? Thanks! Does someone want to tell Caroline that it's Christmas? She doesn't look very happy in this Vampire Diaries scene. Ready to have a ball? 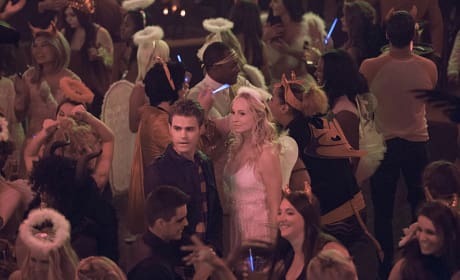 It's time to party with Caroline and Stefan in this Vampire Diaries scene. 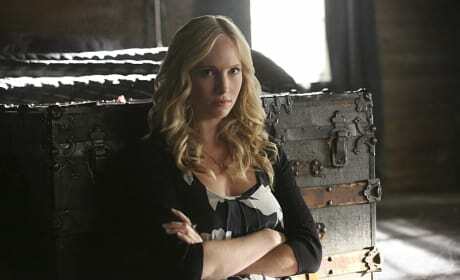 How dare anyone make Caroline Forbes this angry?!? She is less than psyched that the Heretics have her hostage. Hello? Is anyone there? Can anyone help me? I'm not having the best day ever. 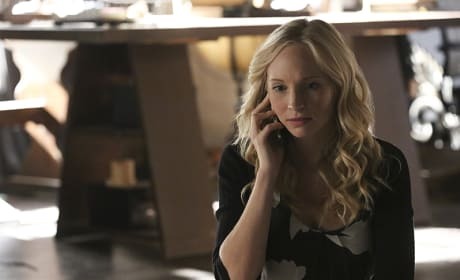 Things are not looking good for Caroline in this Vampire Diaries scene. She's being held captive by the Heretics. Caroline tries to make nice here to Nora. We have a feeling this friendship isn't going to last. 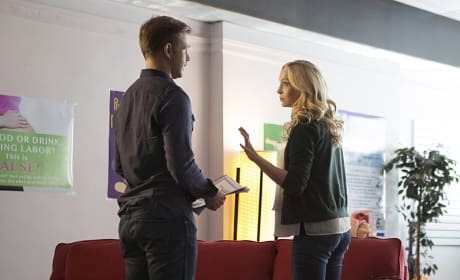 Caroline is surrounded by a couple Heretics in this scene from the Season 7 premiere of The Vampire Diaries. 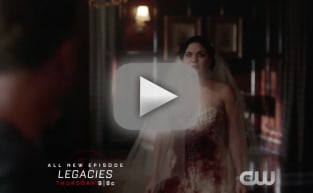 Caroline and Stefan look as if they're about to find Elena in the wreckage after the wedding. Can anybody truly be ready for this moment? Caroline and Bonnie have each other to lean upon now.